With the coming of a new year, so too comes a plethora of new media, be it technology or video games, books or movies, something new is always on the horizon. Here is a quick glance at some of the up and coming releases for 2012. 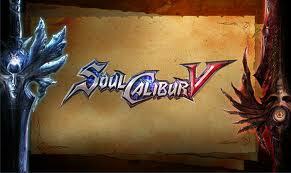 Set to release January 31st for the United States ,Feb. 2nd for Japan, and Feb 3rd for Europe, Soul Calibur V is the upcoming sixth installment of Namco’s Soul Series of fighting games and will be released on January 31st, 2012 on PlayStation 3 and Xbox 360. The character roster will consist of around 30 characters, half of which will be new characters. The game will allow the characters to fight in more than 20 stages. As seen in previous Soul Calibur games, there will also be some guest experiences to the character rosters. The game was released in Japan on December 15, 2011. It is due for release on January 31, 2012 in North America, February 2, 2012 in Australia and February 3, 2012 in Europe. This Ghost Recon story will take place in a near future in Norway, the Middle East, and Asia where Russia has gone into war. The Ghosts will be fighting an ultra-nationalist force that took control of Russia and are invading neighboring countries on the deadliest missions (but of course it is the deadliest! where would the fun be if it weren’t?) behind enemy lines. The player will take control of a 4-man Ghost team consisting of a commando (Kozak), a sniper expert (Pepper), a reconnaissance expert (30k), and an engineer (Bones), playing primarily in the third person for most of the game. 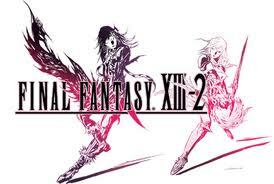 The Wii and PSP versions will have storyline variations. Ghost recon: Future Soldier is set to release March 6th for the United States and March 3oth for Europe. A little behind the power curve on the year of 3’s, Bioware’s Mass Effect 3 can be expected to hit shelves on March 6th for the United States, March 8th for Australia, and March 9th for Europe. 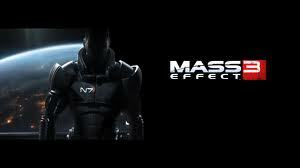 Mass Effect 3 will follow from the events of the Mass Effect 2 dowloadable content expansion Arrival, and follows Commander Shepard’s mission to save the galaxy from the Reapers by rallying civilizations of the galaxy together, while also having to deal with Cerberus, who have decided to turn against Shepard.